I am a sucker for Halloween and the events surrounding it. Unfortunately, haunted/ horror attractions can be a flip of the coin - heads, it's mind-blowing, and tails, you strive for ways to reconcile yourself to the fact that you can't get that wasted money or time back. Much like the horror movie genre, horror attractions do run the risk of being cheesy. 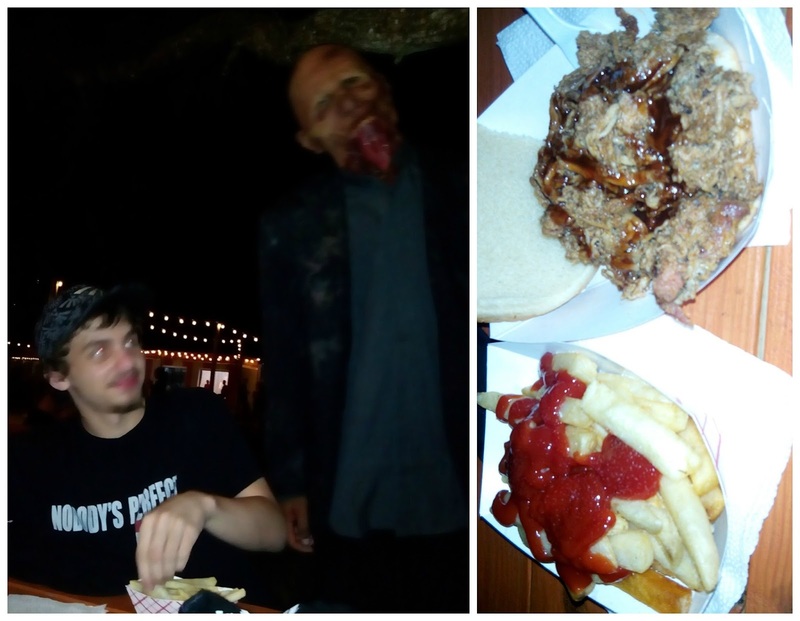 Halloween Horror Nights has set the standard in Central Florida. If anything wants to succeed in this area during the month of October, it's up against some heavy competition, and this has helped to bolster the quality of our local haunt options. Halloween Horror Nights is my longstanding obsession, but I've taken the last couple of years off from this event due to the combination of rising prices and ridiculously stifling crowds. This year, we decided to check out a few new offerings for the Halloween season. 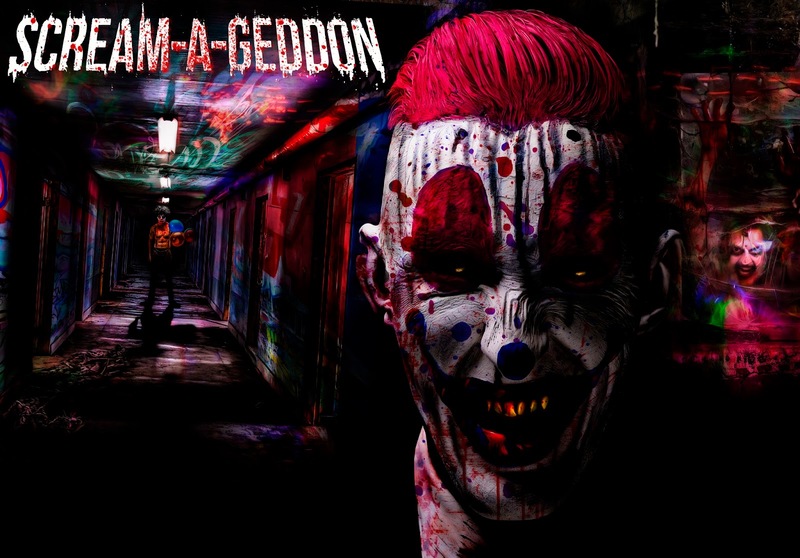 One brand new attraction, Scream-A-Geddon, absolutely poses stiff competition to Halloween Horror Nights. No, there's no high-powered cinema production company behind Scream-A-Geddon, but there is a multi-million dollar investment, expansive land, and some of the most chillingly creative concepts conceived, which more than makes up for it. Considering this, it only becomes a more impressive effort. Let me warn you now... my usual heavy photographic coverage is not present in my Halloween reviews. Although some venues did allow us to use cameras as media guests, I opted to leave my equipment at home. Partly to leave some surprises intact, and partly because I usually don't maintain my composure enough to play photographer in haunted houses. You'll just have to settle for my eloquent descriptions this time around. Just the drive to Scream-A-Geddon is enough to unnerve you. It's roughly a 90 minute drive from the general Orlando area, and a good portion of the drive takes place in a location so rural that you'll have to convince yourself you haven't left Florida. Hills, pastures, winding two-lane roads, and... darkness. Between these startling elements and the massive amounts of space occupied by Scream-A-Geddon, the location is purely perfect. The only drawback - while parking is more than ample, it also costs $10. This is my own personal grumble, but I have a specific hate for paid parking in any circumstance. I pay enough for my vehicle as it is. I'd feel better about paying higher admissions for the things I do, than pay for the ability to arrive there. This is also not the type of location you'll be getting to by bus, so plan to pay it. If you're going with a group, carpool and split the cost. After parking and ticketing, make your way into the hub of the event. There is a rectangle of trucks and buildings, tented in circus-styled red and white hues, forming the border of the event area. Nestled in the center are numerous picnic tables and a couple campfires. 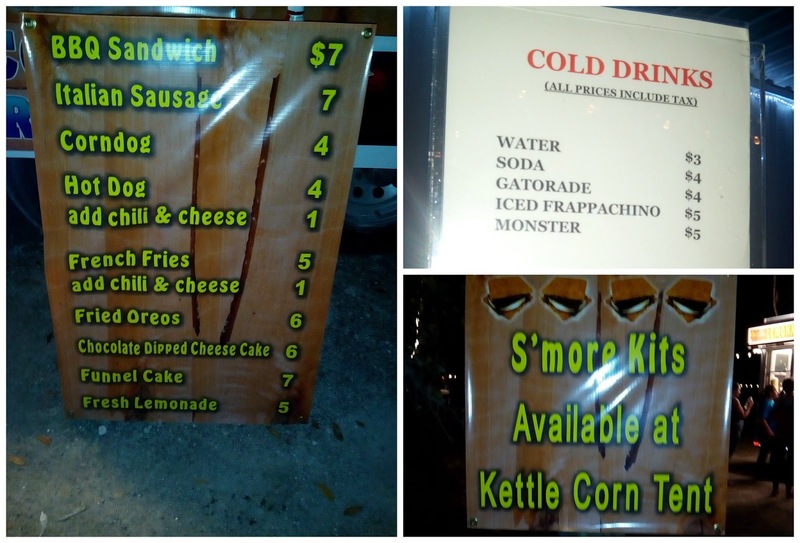 The border areas hold food, drinks, souvenirs, and games. Make sure to grab yourself some grub, but beware... the monsters aren't always confined to their respective terror zones. You never know who may stumble over seeking fresh meat - or a french fry. Speaking of meat - let's flesh out the real details of Scream-A-Geddon... the haunted houses. 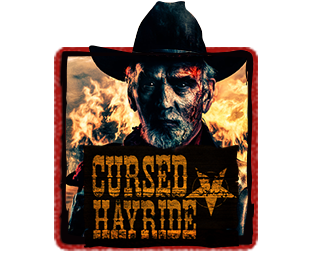 There are five, not counting the Monster Midway: Cursed Hayride, Pandemic, Infected, Dead Woods, and Bedlam 3D. Each is remarkably different from the rest, and each has incorporated elaborate theming that yields a very dramatic touch of reality. 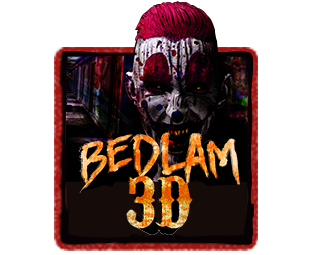 Bedlam 3D integrates a variety of both classic and modern elements to create a mind-bending atmosphere direct from your nightmares. Guests are issued 3D glasses, adding a game-changing new layer to the heightened realistic experience. You'll be enveloped by vibrant day-glow colors as the very walls around you breathe and throb. Clowns play host at this maniacally macabre madhouse, taunting and terrorizing at every turn. Beware the disorienting tunnel, as you never know what may be lurking on the other side. 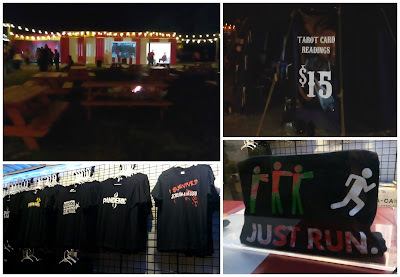 Cursed Hayride provides a unique approach to haunted attractions. This is no walk-through attraction... you ride through it. Approximately 35 guests pile onto a tractor-pulled flatbed covered in hay, as you make your way through this tiny town frozen in time. The town's occupants perished long ago, but their doomed souls still linger, seeking replacements in their tormented, cursed roles. This attraction features stunning fire effects, and there's clever use of a zip line as well. Sitting in the middle of the vehicle allows you to take in the exceptional sets without the sudden distraction of roaming characters to scare your eyes shut, but if you wind up on the outer edges of the vehicle, watch for desperately lost souls grasping for your limbs. 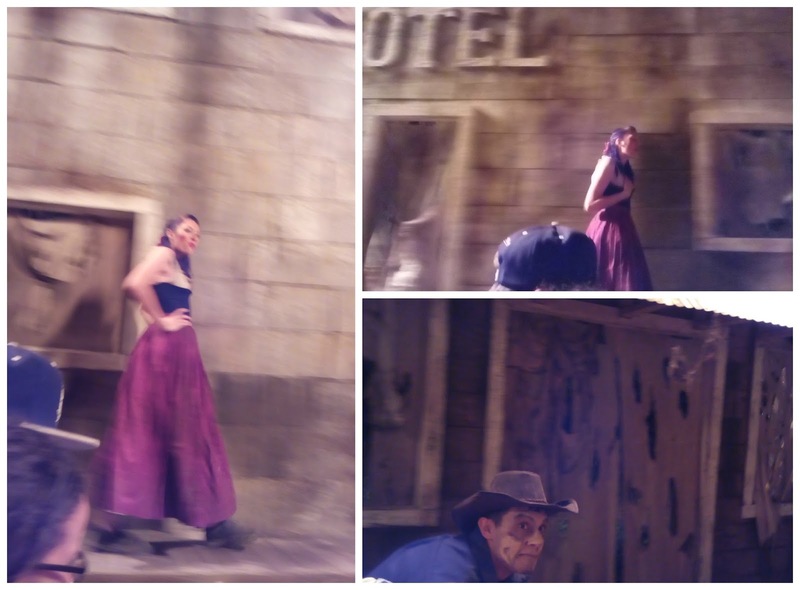 Cursed Hayride brings a typical southwestern ghost town to a whole new level of (after) life. 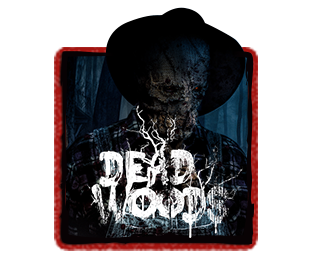 Dead Woods finds you meandering through a desolate forest in the middle of a National Park. The Tate family, a multi-generational band of holdouts from the original government rezoning of the land, roams the forest, waiting for unfortunately stranded or misdirected visitors. They're masters of disguise - and backwoods mayhem. You'll have the aid of only one glow stick for your party. Hold on to it tightly, as it may be the only thing that saves you from the savages lurking in the darkness. And don't be fooled by the dimly lit cabins along your path... Tate family hospitality is anything but hospitable. The military has deployed to investigate strange phenomena in a rural town. The local townspeople have not been the same since a meteorite plummeted to earth, and the troops have been sent in to research and quarantine. 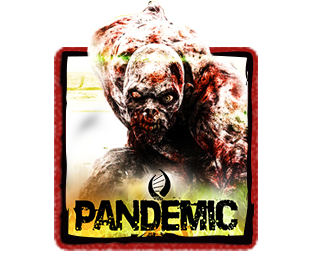 It doesn't take long for the infection to spread, and the result is pure pandemonium! 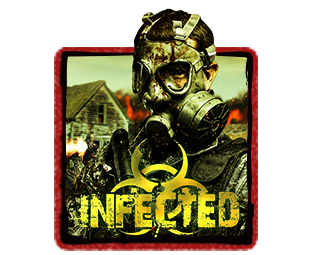 Infected finds you navigating the farm, rickety old homes, and military tents, while dodging unstoppable zombie-esque farmers and soldiers. True, they can't move to swiftly, but they are masters of disguise and surprise. It's not until you get a close look that you can determine who's who, and by then it may be too late! Hands-down, Pandemic is the coolest haunted house I have ever experienced. I cannot say enough about the original concepts employed by this attraction! What sets it apart and makes it so alluring? It's interactive! Whereas all of the other houses follow the normal "no touching" rule, Pandemic throws the rules right out the window. At the entrance, you're offered a choice: participate fully or maintain your role as a mere observer. Trust me, you want to participate! Opt for a glow necklace to truly experience the horror of the house. If at any point you change your mind, you are able to remove the necklace and stay "safe". You must be 18 or older to opt for the interactive experience, but my 16 year-old son still had a few surprises in store. All three of us on the ComeSeeOrlando.com crew had an entirely different experience in Pandemic, and we were all separated from each other inside. While wearing the necklace, you may be taken from your group, and the fate that awaits is completely unpredictable. I was held back twice during my walk-through. During one of those scenarios, I was thrust into a dentist chair while two madmen flanked me with a bright spotlight and a very intimidating drill. You never know how scared you can truly be until you're on your own. After my escape, I was wandering the maze to the exit when my son seemed to pop out of a wall in front of me, with a dazed look on his face, claiming he escaped from a capsule. Chaos ensues as guests and monsters seemingly stagger around throughout the entire house, roles and outcomes become blurred and frenzied. It becomes a daunting task to find your way out of this genetic testing facility before you too become one of the mutations residing here. It is disorienting, in the very best way, and no one is immune to this brand of fear. 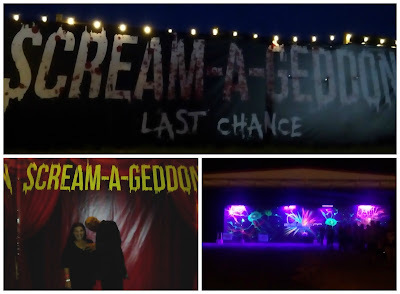 Scream-A-Geddon opens Wednesday through Sunday nights in October. The last day to catch the event is November 1. Entry includes unlimited access to all houses. Ticket prices vary by date, but range between $19.95 - $29.95. VIP passes are an additional $15, and allow access to shorter lines. Super VIP tours are available for $129 per person, and this includes immediate access to all houses, food and drink vouchers, a t-shirt, and a private guide. These tours are limited to 12 guests or less, and must be reserved in advance. For more information, follow Scream-A-Geddon on Facebook and Twitter. Scream-A-Geddon is absolutely the best thing to happen to Halloween in Central Florida. It's a game-changer. Even with the distance from Orlando itself, it's worth the investment of time and money. There is not one weak link in this horrifying chain, and each house is completely unique. While I was initially yearning for Halloween Horror Nights this year, my fear craving has been totally satiated by Scream-A-Geddon. The lines move swiftly, and although there was quite a turnout when we went, there was ample space for guests to spread out. Scream-A-Geddon didn't have that claustrophobic feel to it. It's simply a higher quality attraction that genuinely provides more of an experience for your investment. BUT... don't take our word for it! ComeSeeOrlando.com wants to send you and a guest to experience Scream-A-Geddon for FREE! Enter below - contest ends 10/16/15 at midnight!